Check your tires and check air pressure (including spare tire) every two weeks. If encountered tire damage, immediately consult the tire to tire repair shop or store that you trust. Avoid actions that result in damage to the tire, such as crashing into the sidewalk, passing through a hole in the road at high speed and so on. Tires can be damaged without the knowledge of the driver. If you see or suspect damage, without delay ask the tire inspected by a tire service professional. Coercion tires in speed or overload should be avoided. This has the same critical effect as even a flat tire can cause tire damage that can not be repaired. Check your tire pressure regularly. 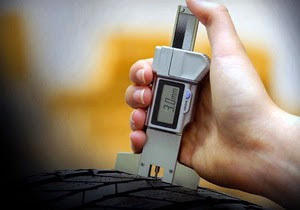 Tire pressure plays a major role in the performance of any vehicle tire. Tire pressure is determined individually for each model of vehicle by tire and vehicle manufacturers. Flat tire or wind deficiency reduces the tire's ability to grip the road well. Remember, just check your tires when cold, not when still warm or after a road car.